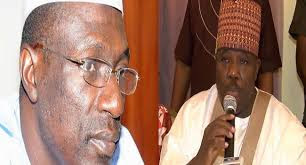 The Supreme Court this morning sacked Ali Sheriff as the National Chairman of the Peoples Democratic Party. The court then declared Ahmed Makarfi, the caretaker committee chairman, as the authentic leader of the PDP, Nigeria’s largest opposition party. Joke? Bukola Saraki To Also Be Recalled?